I had the opportunity to visit the Just One Eye showroom and it was the most amazing experience in a beautiful gallery! My outfit for that day! 1) In love with this nail polish color. Manicure time! 2) So excited for Fall! Time to bring out the boots. 3) New York City shopping damage done right. 4) Fashion show time! At Neiman Marcus for FNOLA! My arm candy and casual sneakers on the plane from NY back to LA! 1) It's not a party unless it's an arm party. 2)I had an amazing time at the Neiman Marcus Fashion Show FNOLA! 4) Breath taking view from the Empire State building NYC. I tried on this amazing raccoon fur jacket and immediately fell in love. It was one of my favorite pieces from the Just One Eye showroom. Technology and I do not get along. As soon as I got my iPhone fixed, my camera decided to be temperamental. But *crossing fingers* everything has been fixed and Studs and Sapphires is back in full force! I have some exciting/project coming up and can't wait to share them with you! 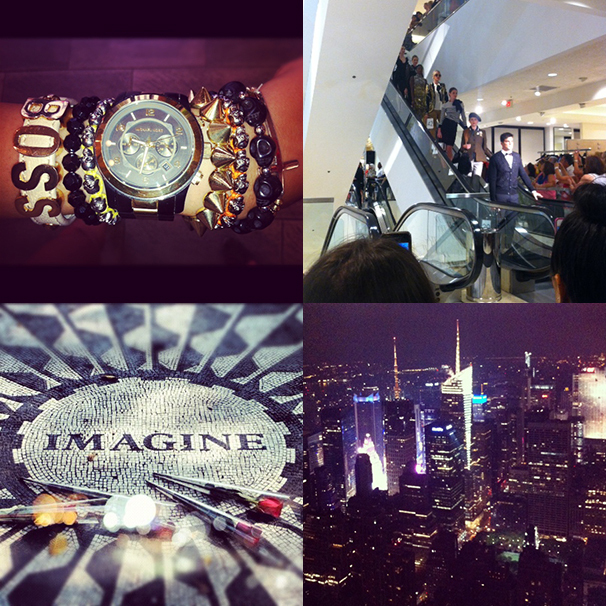 In the meantime, I wanted to share some of my photos from Instagram. Follow me @studsandsapphires for more fun stuff! love your insta and all your pics! Cute pics darling! Like always...looking fab! found your blog and love it! you are too cute! 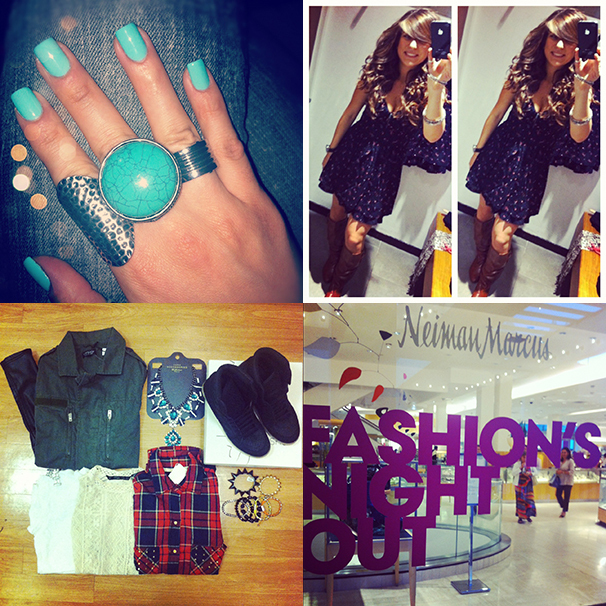 Looks like you had a great time at FNO! (I went to the Neiman Marcus event in St. Louis...so chic!) Hope you'll check us out! you're so gorgeous:)! I follow you now, maybe you could follow me back if you're interested? that would mean a lot to me! Love your style found you on instagram and now following you here!! !